The maximum demand for housing in India has always been and continues to be in the affordable segment where property prices range from Rs 15 lakh to Rs 50-60 lakh, while a huge number of ready-to-move projects in cities like Mumbai are priced upwards of Rs 1 crore.Affordable housing schemes for the middle and lower income groups are finally on a serious growth curve in 2017, with huge demand in both segments now also being met with increasing supply. It may seem strange that massive demand and massive unsold residential inventory can coexist, but this is in fact the result of pricing mismatch. The maximum demand for housing in India has always been and continues to be in the affordable segment where property prices range from Rs 15 lakhs to Rs 50-60 lakhs, while a huge number of ready-to-move projects in cities like Mumbai are priced upwards of Rs 1 crore. This is evidently a stalemate situation for the existing supply – having invested heavily in location and premium features and amenities, the developers of these projects can obviously not bring the prices of their inventory down into the affordable brackets. These are premium offerings and will retain premium prices, with only marginal downward price revisions possible in some projects if the developer in question is able to absorb a loss. Others will wait for market conditions to improve, which they are already showing signs of doing.The good news for the affordable housing segment lies in the Indian Government’s determined policy directive to provide Housing for All by 2022. While this objective seemed a little fabulous to begin with, we are actually seeing some serious action on the ground as a result of this policy directive.The Government is now collaborating with private builders and developers under a public-private partnership model (PPP) to make Housing for All by 2022 a reality. Many developers have responded positively, which is not surprising. It is no secret that affordable housing promises a lot of growth for all concerned – the problem lay in the fact that the profit margins in this segment are quite small, and the Government had not provided developers with a good incentive rationale to take the plunge.Today, they have this incentive. The Government has provided 39% higher allocations for affordable housing development vis-a-vis FY 2016-17 under the Pradhan Mantri Awas Yojana (PMAY). It has also extended the Credit Linked Subsidy scheme to loans of value up to Rs 1.2 million. And, while the Government has also made a number of other moves to meet the demand with supply and address the affordability issues for the middle and lower income groups, the most important stimulus by far has been the fact that affordable housing has now been granted infrastructure status. This translates into easy financial credit for builders and makes it a lucrative segment for them to invest in.The Investment Information & Credit Rating Agency (ICRA), considered to be the most reliable domestic rating agency, confirmed in a recent report that the affordable housing segment in India is set to grow at a faster pace than the rest of the real estate industry – at more than 30% over the medium term – and will be the key growth driver for the Indian mortgage finance market.Other Factors Driving Affordable HousingMassive Urban Inward Migration: While luxury housing continues to hold its own in terms of its niche demand, the fact is that developers today are more inclined towards creating affordable housing projects. Not only is such housing selling like hot cakes, it is also the most incentivized segment for both developers and end-users. A large percentage of the population is migrating to the tier-1 and tier-2 cities, attracted by the new job opportunities ushered in by the country’s growing economy. As a result, the demand for affordable housing has increased exponentially. 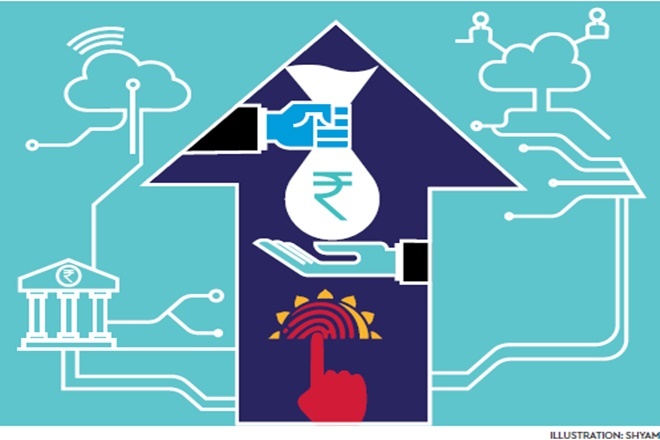 Simultaneously, Government policies like RERA have infused fresh buyer confidence into the real estate sector, bringing fence-sitting buyers onto the market with firm purchase decisions for homes that meet their budgets.An Increasingly Attractive Investment Proposition:-On the back of the new regulations which the Government has deployed to make Indian real estate a more credible and logic-driven market, property investors focusing heavily on affordable housing for the middle and lower income groups, as this is by far the most attractive investment option now. Affordable housing is now a highly profitable long-term proposition for real estate investors, and developers also stand to seriously profit from creating it. Affordable Housing Supply In The Right Cities:The trend of nuclear families driven by young professionals is increasing all over the country, especially the metropolitan cities where InfoTech and other major corporate sectors hold sway. In cities like Bangalore, Pune, Hyderabad, Chennai, Thiruvananthapuram, Navi Mumbai, Gurgaon, Noida and New Delhi, young professionals are eager to own homes and settle down with their new families, so affordable housing is a major hit in such cities.Indeed, it has never been a better time for affordable housing in India. The segment has lost its ‘down market’ label and become a serious and respectable business sector for real estate developers. It is a given that the demand-supply gap is still huge, but the fact is that it is narrowing visibly for the very first time in several decades. Over the next five years until 2022, we will see affordable housing action on the ground unfolding at an increasingly rapid pace – and everyone, not least of all the country’s economy and most importantly the long-neglected end-user of affordable housing, stands to benefit.